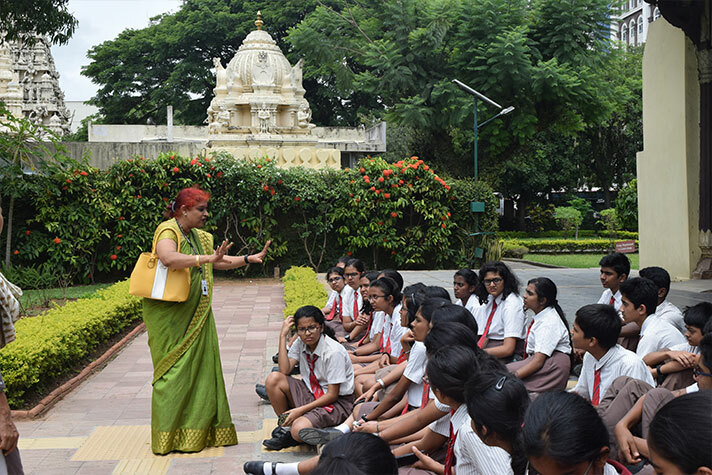 As part of the Social Science curriculum, students of Grade 10 and the Humanities Wing of grade 11 were taken to see three of Bengaluru’s oldest temples, Tipu Sultan’s summer palace and a Legislative Assembly session at the Vidhan Soudha. 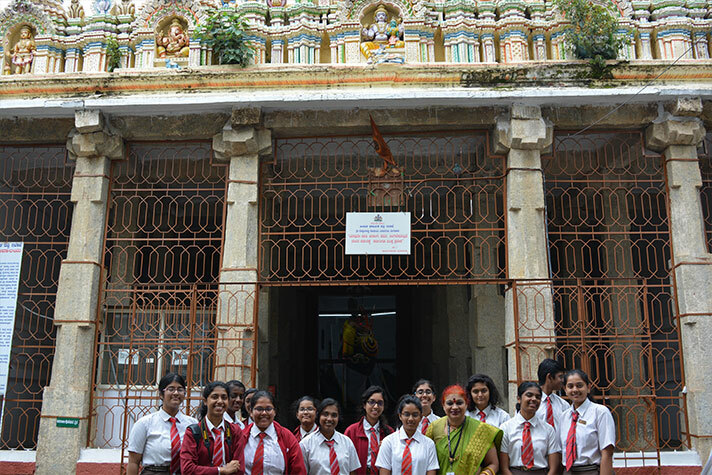 The first stop was Basavanagudi, the hub of Bengaluru’s ancient temples. 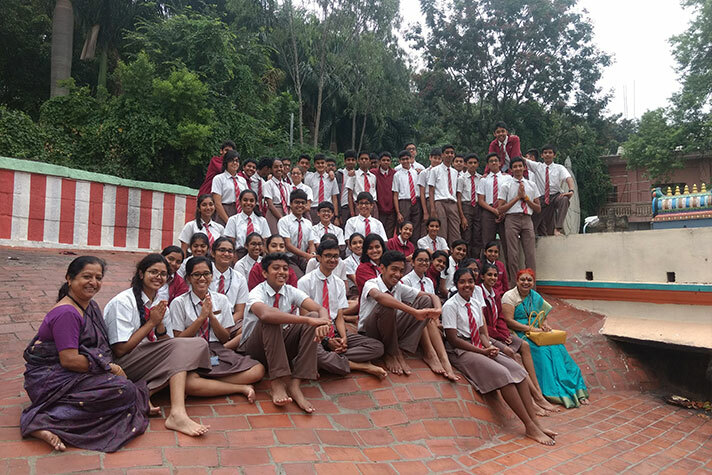 The Gavi Gangadhareshwar Temple, a Shiva Temple hewn out of a single cave, is the oldest temple of Bengaluru. 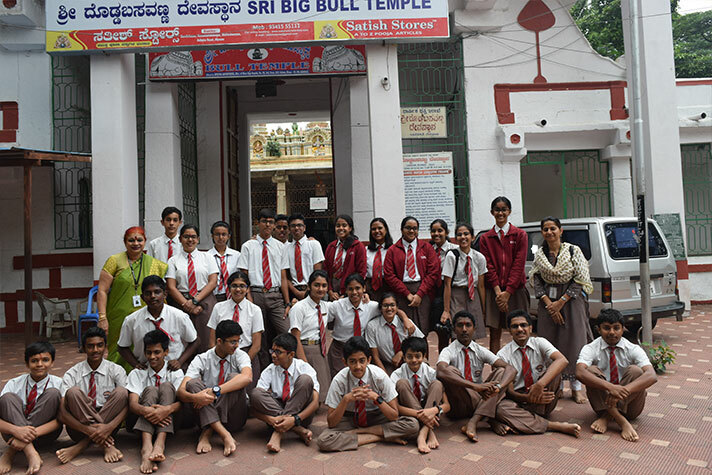 The Bull Temple, the height of which is approximately 15 feet and the length, 20 feet is yet another architectural wonder of Bengaluru. The Dodda Ganesha, which is a huge monolith statue, 18 feet in height and 16 feet in width is said to require 100 kgs of butter to decorate the Lord. 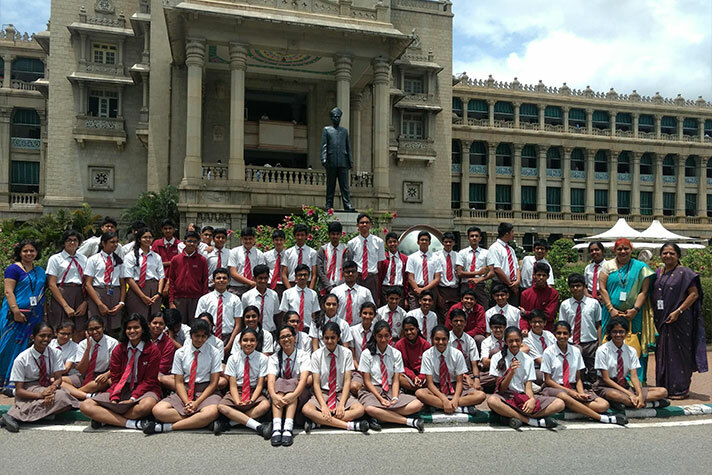 The next stop was the Vidhan Soudha, the Legislative Assembly building of Karnataka. This colossal building is India’s first secular government building, and it incorporates the typical architectural styles of all religions. 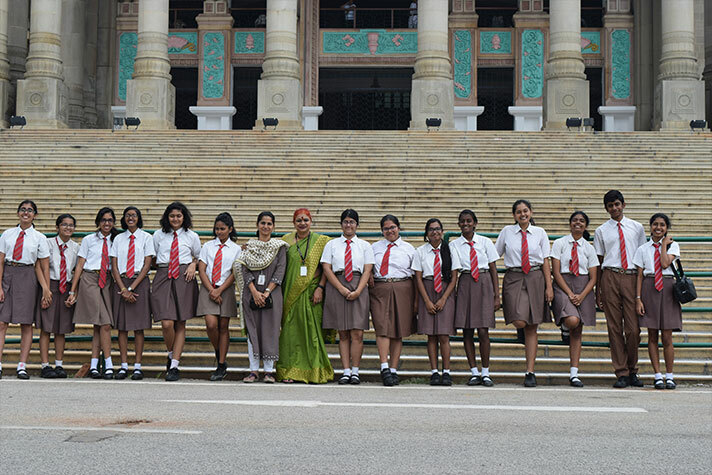 Being able to watch a live Legislative Assembly Session while seated in the observers’ gallery was a once-in-a-lifetime experience for the students. The electricity problems of Malnad region, inefficiency of administration of a government college and lack of basic amenities in a government school, were only some of the many issues being tackled there. 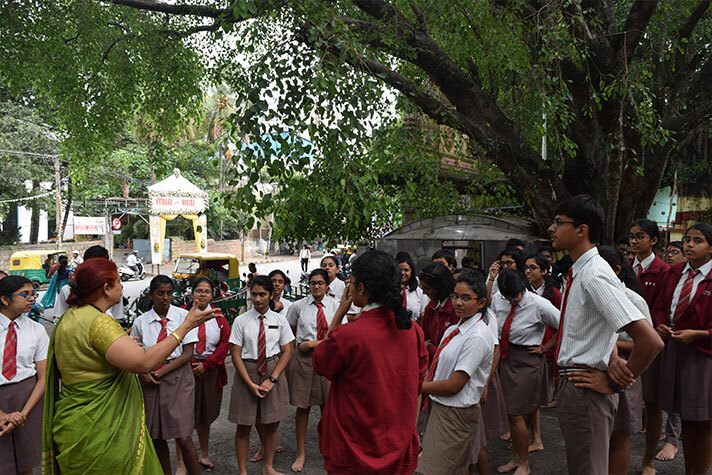 The students got an insider look into the administrative processes in the state. 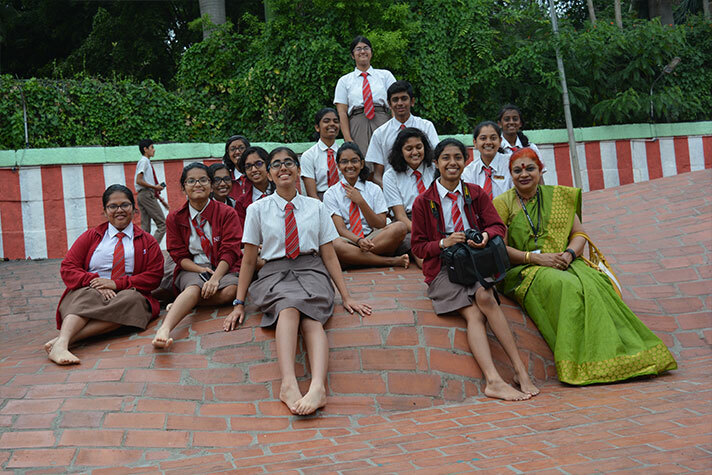 The last stop was the summer palace of Tipu Sultan. This structure is made entirely of Teak wood. Sadly, Tipu Sultan could not enjoy the luxury of this palace for long, as he was killed shortly during the Anglo-Mysore War. 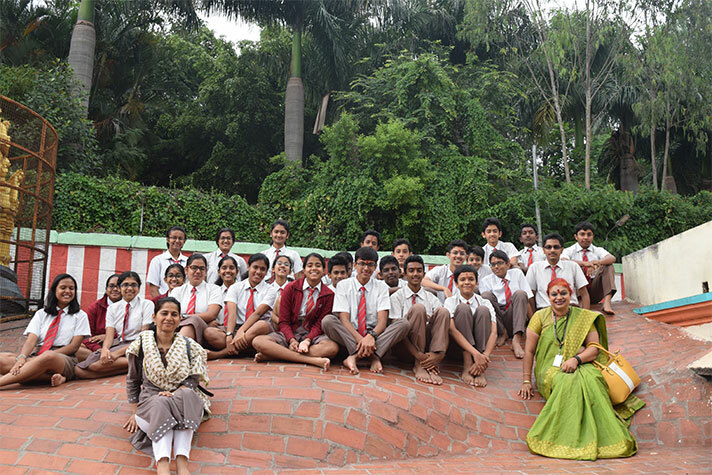 This excursion was an enriching experience for the students.